Before making-of documentaries became a de rigueur feature on DVDs, Document Of The Dead was a special treasure for horror fans -- an extended glimpse into the mind of one of the genre's great filmmakers that also takes place on the set of one of his greatest films. It remains one of the best documentaries of its type. George Romero is a riveting central figure for the film, offering thoughtful commentary on everything from his editing style to the often harsh realities of independent filmmaking as he works on Dawn Of The Dead. He comes off as calm, chatty and effortlessly cool. Richard Rubenstein, his producing partner during that era, also registers strongly with his all-business take on the world of filmmaking and special effects designer Tom Savini is a ball of energy as he lays out his insights in breathless style. Roy Frumkes arranges their thoughts into a focused whole, adding bits of insightful narration via the voice of Susan Tyrrell and also using clips from various Romero films to provide counterpoint (and occasional humorous commentary) on the topics being discussed. Frumkes also adds a sort-of epilogue from the set of Two Evil Eyes that shows the battles didn't get any easier with the passage of time but Romero still managed to make his way through. The overall work holds up well, offering a fascinating glimpse into the past while retaining truths about filmmaking that remain important today. 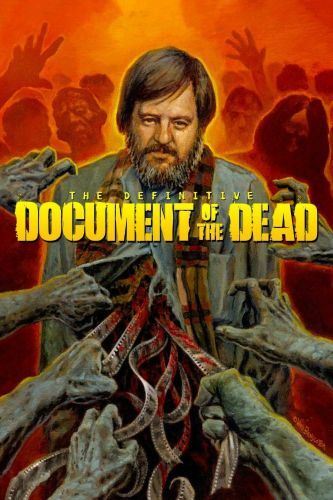 All in all, Document Of The Dead is an absorbing documentary that is a must-see for both Romero fans and indie-cinema devotees.